Editor’s Note: Angology is member of the FoCC forum and has helped organized the hotel reviews and feedback section on the forum. Hotels… hotels….hotels. As many of us know, there are many choices available for selection in the hotel lottery, but we are forced to enter 6 and hope for the best. To help you narrow down your selection, we have a section on the forum which contains reviews from forum members. Our goal is to make this information accessible to hotel seeking attendees (both new and veterans). Have a look at feedback and advice from FoCC members, which may be helpful to you while narrowing down your selection. You may see if it is worth staying in the hotel in which you were placed, get an insider tip or hack, or find a non-official hotel that will help you escape the madness of the hotel lottery (also known as Hotelpocalypse, Hotelmadgeddon, etc.). One of the great things about a community like this one is the wealth of experience that comes from the many forum members and covers the many hotels in which they have stayed. The hotels reviews range from the ordinary, like the size of the room or the price of parking, to the strange: the observation by more than one forum member about bathrooms with frosted sliding glass doors (goodbye privacy!). We have three separate threads to help navigate the various lodging choices. The first thread is where forum members leave their reviews (or request them). These are compiled into a second thread: the compiled reviews. At this point, they are pretty much in alphabetical order in their sections, but as hotels get added or removed, that may be subject to change. That brings us to the final thread: the List of Hotel Reviews with a list of official and non-official hotels; this list is kept in alphabetical order for the different sections, with a clickable link to the compiled reviews for that hotel. 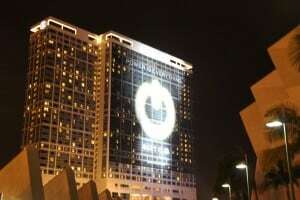 Here is a quick overview of some of the more popular choices: Marriott Marquis & Marina, Hard Rock, Omni, Manchester Grand Hyatt, Hilton Bayfront, Hilton Gaslamp, Marriott Gaslamp. Marriott Marquis & Marina (MMM) – This one has been and will probably remain a favorite. Staying here puts you right on top of the action, given its proximity to the convention center. Rooms have been reviewed as being on the small side (I myself have observed this, especially if you get a corner shaped balcony view room). Cosplayers love staying here, as it gives them a place to quickly come back and repair, change, or just relax (which appeals to everyone!). The biggest recurring negative is the parking; there isn’t much of it. As an added bonus, there are actual SDCC events happening in the hotel such as the Nintendo Lounge, a Game of Thrones bar, SDCC merchandise store (tee-shirts), Matty Collector pre-order pickup, etc. These bonuses make this hotel even more convenient. Additionally, they are currently updating their facilities to include two new large ballrooms (Ballroom 20 size!). As of the publication of this article, it looks like these additional rooms will be available for SDCC 2017. Omni – another favorite for proximity and a fair amount of celebrity sightings. One resounding sentiment was that the staff is top notch. Also, if you sign up for their rewards program you get free wifi and coffee (a definite plus on both counts!). Rooms were described as being on the smaller side, but if you get a balcony it really helps. No mention of parking prices. Another perk is the proximity to Petco Park. Some were able to access via the sky bridge, but that is maintained by Petco Park, so it may not always be available. Biggest recurring negative was again noise from parties, but not as prevalent as at Hard Rock. Manchester Grand Hyatt (MGH) – Walking to the convention center from this hotel requires more steps, but at least involves no train track crossing! Also, in past years several SDCC events have been located here (Xbox Lounge, the fulfillment room, etc.). Rooms are generally reviewed as spacious, and staff as attentive (in recent years anyway). Parking was the biggest complaint, as it tends to be expensive. One bonus with this property is the proximity to two shopping areas with extra options for eating. Seaport Village and the Quarters (which includes a Cheesecake Factory) up the appeal of this property. With time being a premium during the con, having easy options for dining is a plus. Hilton Bayfront – This hotel’s location makes it attractive to those that brave the Hall H lines. With the right view, you can easily size up how the lines are progressing. If you are in line, it can make for quick breaks in the comfort of your own room. It is also convenient for the off-sites that typically set up nearby (for example: the Petco Park parking lot festivities right across the pedestrian bridge). An awesome perk is that one of the panel rooms is in the hotel (Indigo Ballroom). If you frequent these panels, it is a real treat to be able to grab a pass to run up to your room for a quick break. The rooms were reviewed as being on the small size. More parking seems to be available than at other hotels (you will have to walk outside to get to your car), but it still can get pretty packed. In many cases, it seems the reviewer had to check in before they could access the parking structure, so keep that in mind. Hilton Gaslamp – If you like being downtown, but prefer to be in the center of the Gaslamp action, then this hotel fits the bill. Even so, it is still close enough to the convention center to make things easy for the busy con-goer. Reports are that the rooms are quiet, despite everything going on outside (some rooms overlooking the Assassin’s Creed activation last year were noisy during the day, but most people aren’t in their room at that time). The hotel also frequently holds off-site events (one year it was The Walking Dead central with the Terminus display/activation). A convenience store across the street lives up to its name as an easy option to get snacks and refreshments. Rooms were generally reviewed as spacious. Parking was not really mentioned. Marriott Gaslamp – Here is another option for Gaslamp activity, yet still convenient enough to the convention center. It has been described as a “good bang for the buck hotel” by one forum member, and observed as underrated by more than one, although there have been some issues with combining reservations (they don’t make you move, but you may have to check in and out if you have bookend reservations not through OnPeak). Parking was described as expensive (I am sensing a theme here with these close hotels!). One major perk is that it is closer to more restaurant choices than the similar Hilton property, without giving up walking distance to the convention center. It was also mentioned that this hotel is typically the third or fourth cheapest hotel downtown, but is closer than some more expensive ones. This one seems to be a (somewhat) hidden gem and a decent option. Please do not limit yourself to thinking the above are the only viable ones! There are other downtown hotels within easy walking distance which are very good options including: Horton Grand Hotel, Hotel Solamar, Marriott Residence Inn Gaslamp Quarter, Courtyard San Diego Gaslamp, Embassy Suites San Diego Bay, and Hotel Indigo. To join the conversation about hotels or see what others are saying click on this link for the hotels discussion thread on the FoCC Forum.